Empower your general insurance operation through innovative business technology, data driven decision making and consumer driven processes. Intrasurance makes their “digital insurance factory” available to intermediaries, financial institutions, and retailers, so they can set up a Private or White label. The MGA, Intrasurance, handles all business processes i.e. acceptance, collection and payment, claims handling, second-line communication and after-selection. When there is sufficient volume, we can develop customized products for our customers. 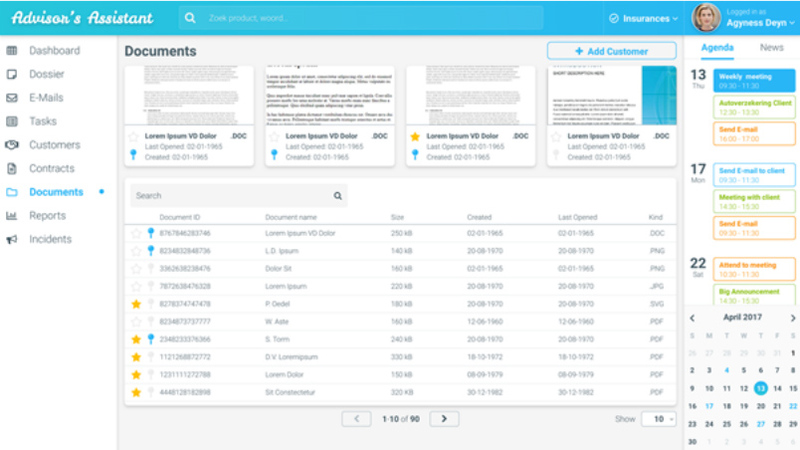 We unburden our customers optimally, saving them valuable time so that our labels can fully focus on their customer and advice. 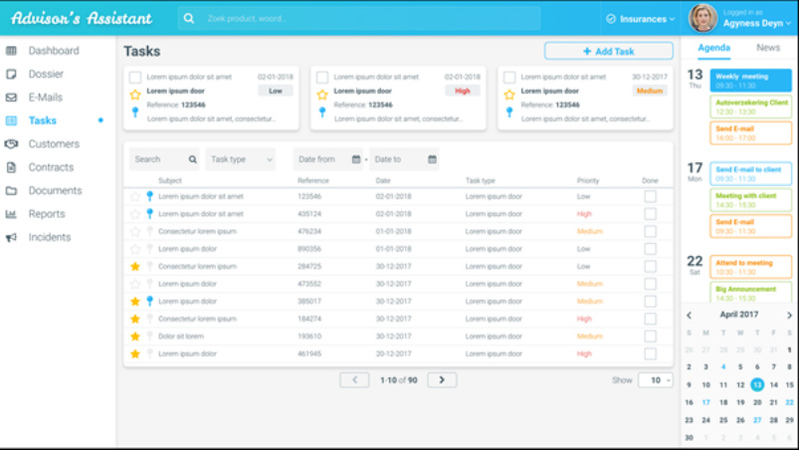 The label is responsible for all marketing and first-line communication with the client, and will receive support for this by our intelligent client dashboard. 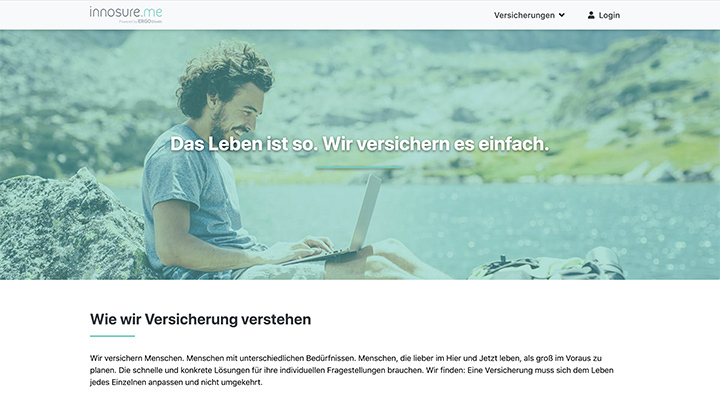 Intrasurance is authorised by reputable insurance companies, both domestic and abroad, and has developed a national multi-channel label network with more than 70 labels. We provide a policy and claims administration system that enables consumers to manage their insurance policies online, 24/7. By using 100% digital processes, the consumer can purchase insurances online, update existing policies and contact details, submit claims and view the entire correspondence and insurance history. Consumers can also very easily adjust or cancel their policies. We put the consumer in control thereby saving you time and money. The policy and claims administration can be made accessible to both consumer and advisors via various sales channels. 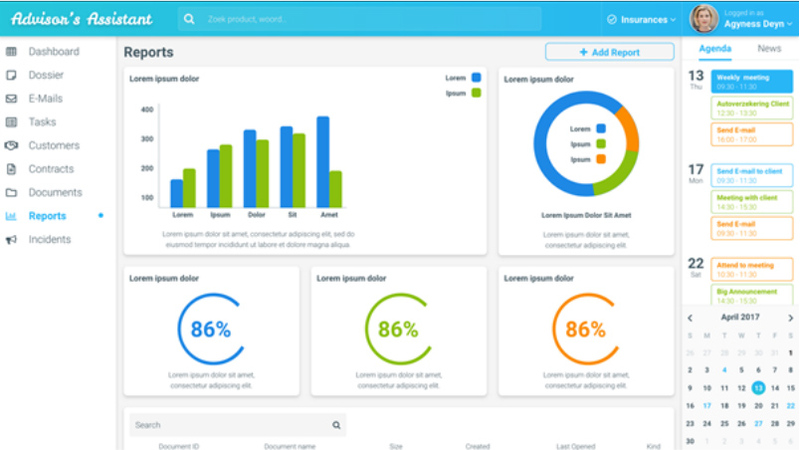 These sales channels can be geared entirely to the wishes of the client, using personalized communication and an advisor module which provides specific customer information as well as a complete overview of the book of business. The DIV Platform is based on Microsoft technology. The platform has been developed in such a way that front and back office integrate by API’s with each other seamlessly. Both are available 24/7 in the Cloud. This setup reduces investments in hardware, leads to lower management costs, and provides access to our solutions anytime, any place. You need to incorporate technology in core propositions like pay-how-you-drive motor insurance based on a telematics platform. 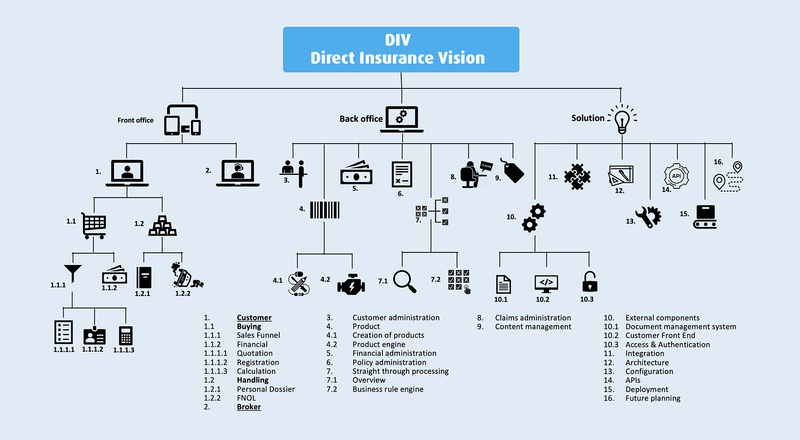 We standardize and automate all routine insurance processes with the aim to complete these processes instantly and communicate the outcome real time. This high level of automation drives both efficiency and increased levels of customer satisfaction. 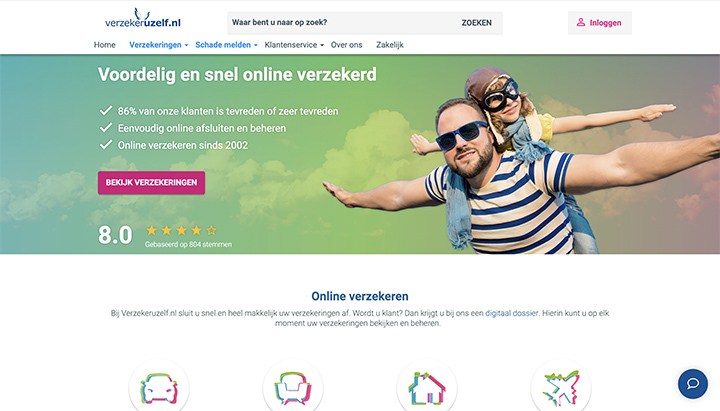 Our adventure starts in 2002 with Verzekeruzelf.nl, the first online insurance proposition in Europe. Through offering the client simplicity, ease of use and control, a better proposition is achieved. 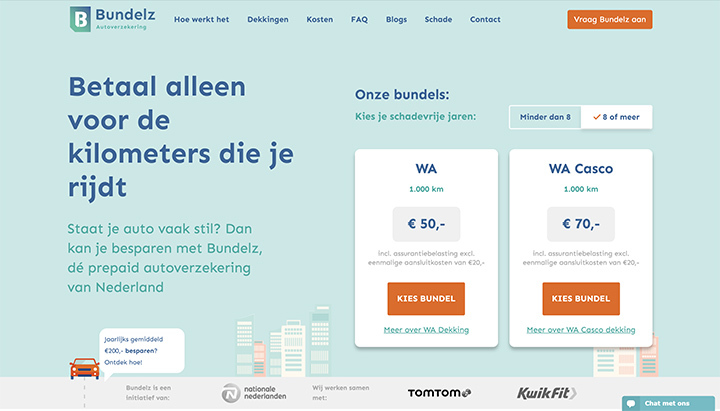 Our paperless and fully data-driven proposition with Verzekeruzelf.nl raised interest within the insurance sector. It was the start of our B2B approach. With our motto “You get the client, we do the work” we quickly managed to get dozens of labels to commit to us. 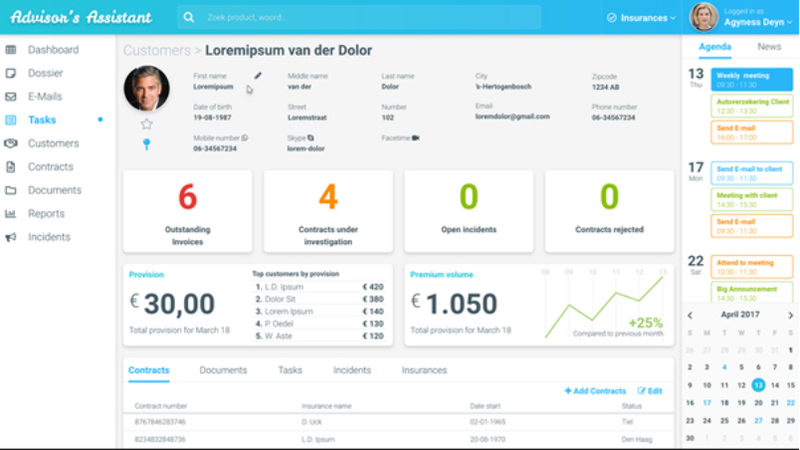 In the following years we developed our platform into a PAAS (Platform as a Service) with which we offered a solution to domestic and foreign insurance companies who had problems with high costs and decreasing underwriting results. 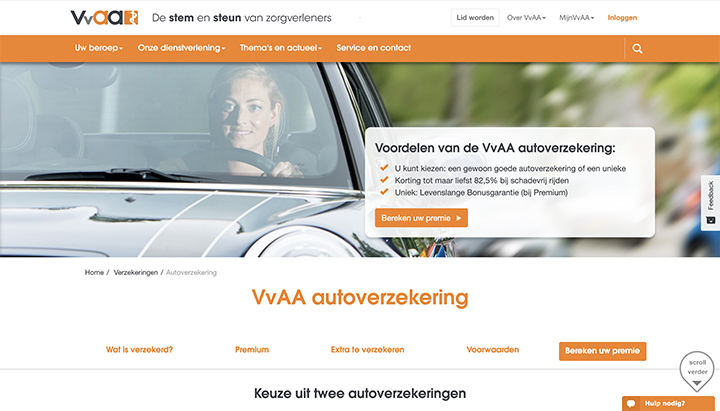 Since 2018, the Intrasurance Group is a part of Van Ameyde International. 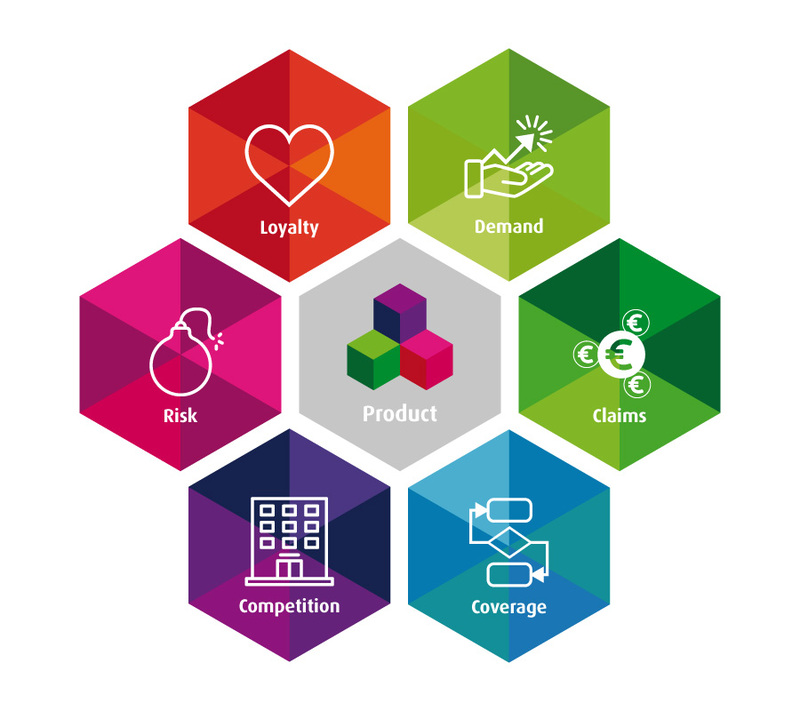 Van Ameyde is the European market leader in claims management and IT solutions for damage processes. In addition, Van Ameyde focuses on complex claims expertise with specific labels, including personal injury and the business damage segment. Because Van Ameyde is present in more than 25 countries, Intrasurance is able to further expand its position in Europe and to offer a complete solution to insurance companies and startups, together with Van Ameyde. Use our online and digital experience of more than 15 years to start a greenfield or transform your organization in an enterprising, customer-and data driven innovative player in the field of property and casualty insurance. We can help you with your mission and create a continuous dialogue with and focus on the customer. 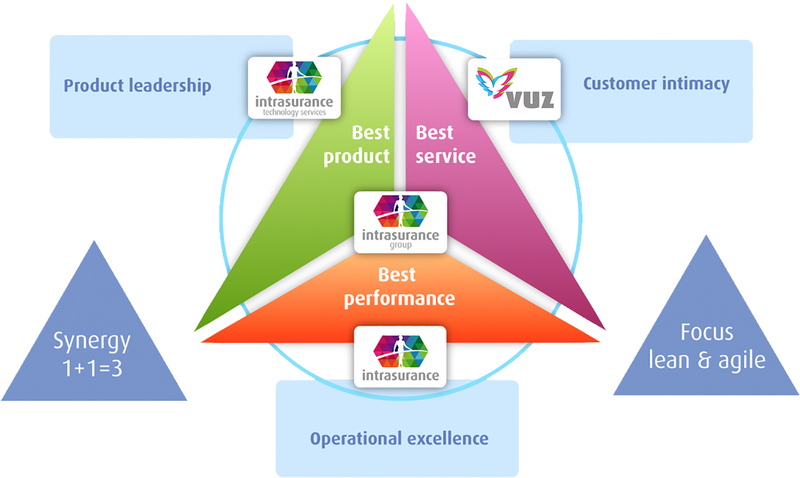 We know what we are talking about because the Intrasurance group has three business units each proving their value proposition by focusing on an element of the value chain. We eat our own dogfood! That guarantee’s that the Intrasurance Group as your partner will keep track of the latest market developments and continues to offer the best online insurance solutions in the market. The Intrasurance Group is an enterprising, customer-driven organisation that develops innovative solutions in the field of online insurance. Driven by a clear mission, a continuous dialogue with and focus on the customer, Intrasurance keeps track of the latest market developments and continues to offer the best online insurance solutions in the market.